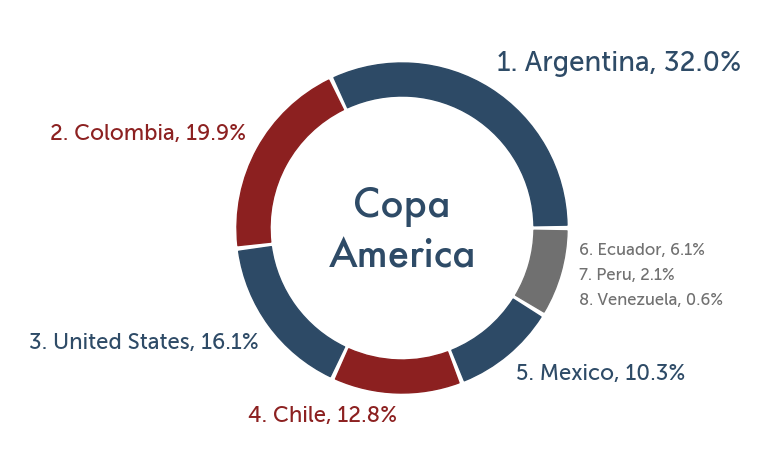 These Copa America win probabilities are based on my international soccer/football rankings that include competition since the start of 2012. The calculations weight games by their importance. For example, a World Cup match is worth four times a friendly. However, the rankings do not weight recent games more. This has interesting consequences for the above win probabilities. For example, the United States ranks 13th in my world rankings. 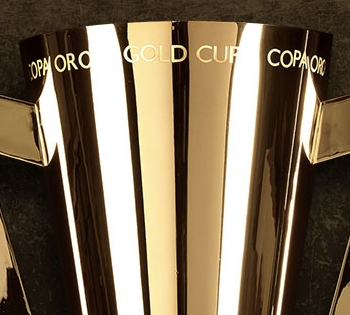 The largest contribution comes from the 2014 World Cup in which they emerged from a group of death to make the knock out stage. Other predictive rankings such as eloratings.net tend to weight recent matches more. 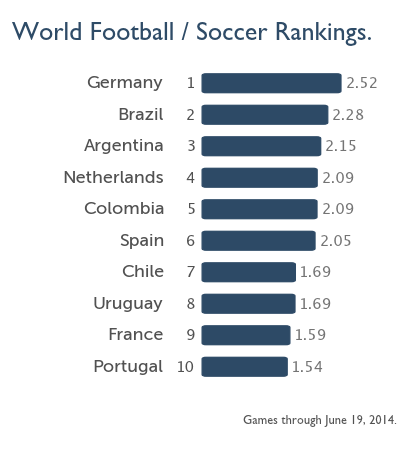 With their struggles in last year’s Gold Cup, the United States ranks 22nd by this metric. 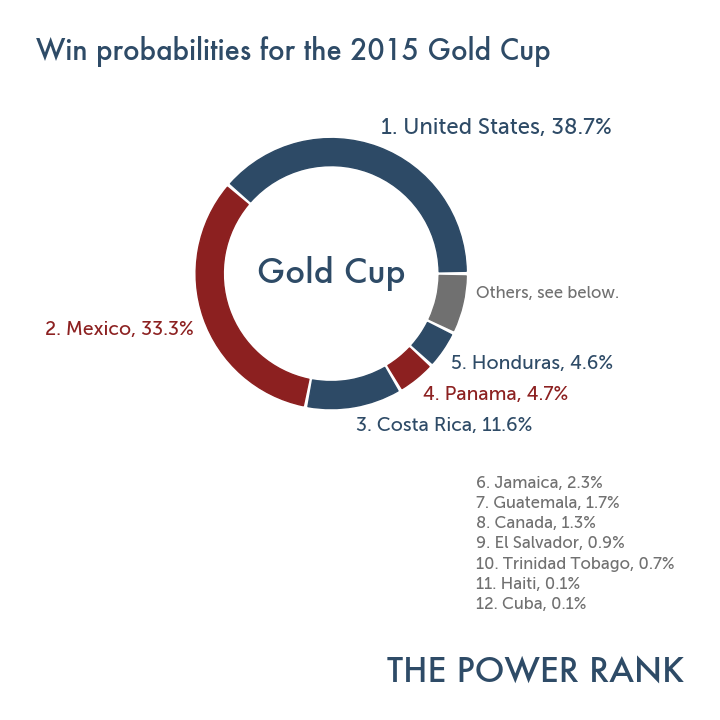 Still, the United States has a 16% chance to win the Copa America. They will enjoy home advantage in each of their matches, worth 0.56 goals. 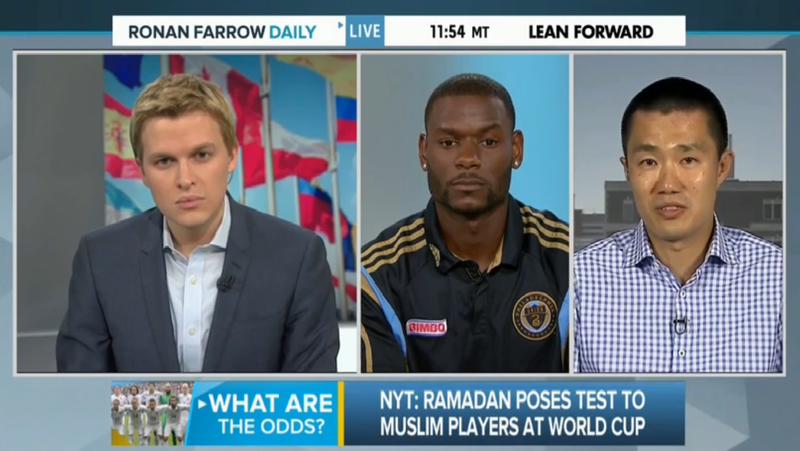 Also, it looked like Colombia did the United States a favor when they lost Costa Rica. The United States won the group on goal differential and most likely avoided Brazil in the first knock out game. Then Brazil lost to Peru 1-0 when the referee missed a blatant hand ball goal. Brazil fails to advance from the group, and Peru, 27th by my rankings, wins the group. I ran the numbers for the situation in which the United States finished second to Colombia in the group. This means they play Peru and Chile/Mexico instead of Ecuador and Argentina. The United States had a 21% win probability, larger than their 16% chance. I’ve given Mexico a half home advantage, since El Tri always gets strong support from their fans on American soil. However, they only have a 10% chance to win. Mexico faces a tough road through Chile and Colombia, the seventh and fourth ranked teams by my numbers, to make the final. Then they most likely face top ranked Argentina in the final. 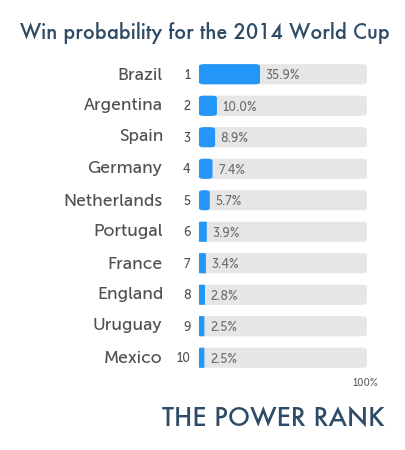 Argentina has the highest win probability at 32%. However, this is less than the about 58% chance (-140 as of Thursday morning) given by the futures market. Note that superstar Lionel Messi has yet to start a match in this tournament because of an injury. He did score three goals as a reserve against Panama.